Editorially independent content supported with advertising. An educational series on the implications of managing the ocular manifestations of diabetes in real world settings. In Part 1 the series, Raj K. Mutari, MD, of the Midwest Eye Institute in Indianapolis, Indiana, addresses the changing disease trends of diabetes around the world. 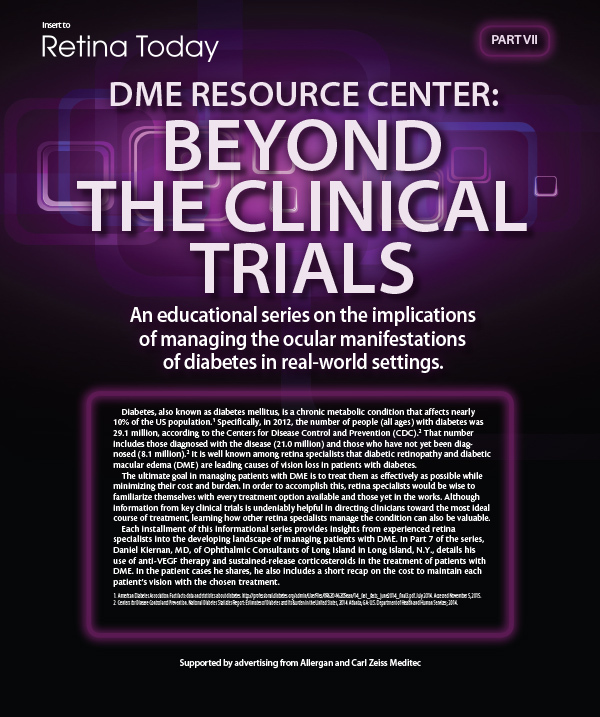 An educational series on the implications of managing the ocular manifestations of diabetes in real world settings. In Part 2 of the series, Gary Scheiner, MS, CDE, a certified diabetes educator, talks about the comanagement of patients and the difficulties all members of a patient’s health care team have in educating about diabetes and motivating patients to be adherent to their care regimen. 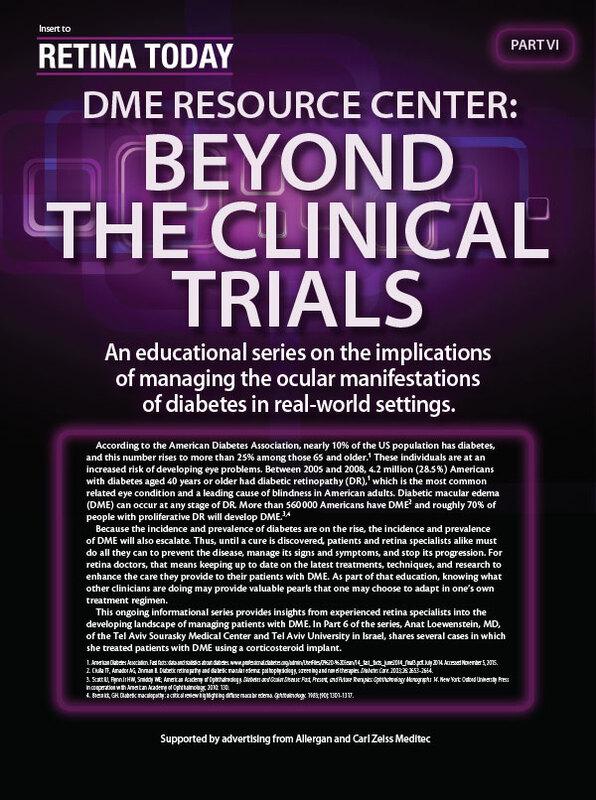 An educational series on the implications of managing the ocular manifestations of diabetes in real world settings. 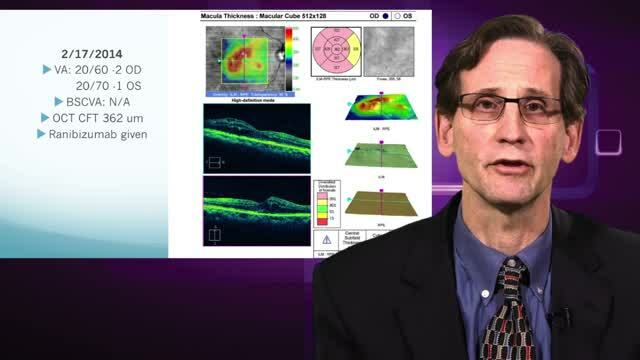 In Part 3 of this ongoing series, Victor H. Gonzalez, MD, of Valley Research Institute in McAllen, Texas, explores the technology necessary to establish a baseline for each patient, how the clinical examination guides the use of imaging, and how to use optical coherence tomography and fluorescein angiography to follow patients over time. 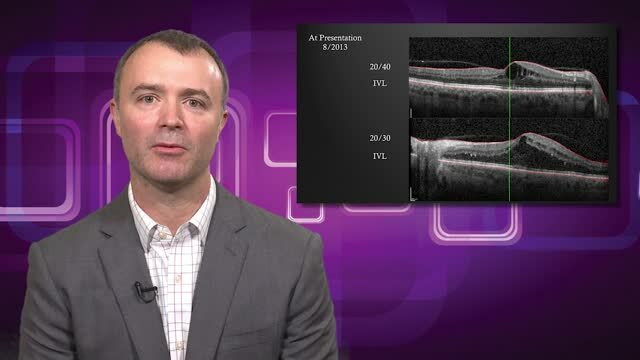 An overlooked aspect in the use of imaging, according to Dr. Gonzalez, is the changing reimbursement landscape for retina specialists and how it may change how patients are managed in the very near future. An educational series on the implications of managing the ocular manifestations of diabetes in real world settings. In Part 4 of this ongoing series, two retina specialists present clinical cases that reflect the sometimes challenging aspects of dealing with patients in the clinic on a day-to-day basis. First, Sunir J. Garg, MD, an associate professor of ophthalmology with the Retina Service of Wills Eye Hospital and Thomas Jefferson University, presents a case of a patient who was nonadherent to medical advice—and as a consequence, she may have left vision on the table. 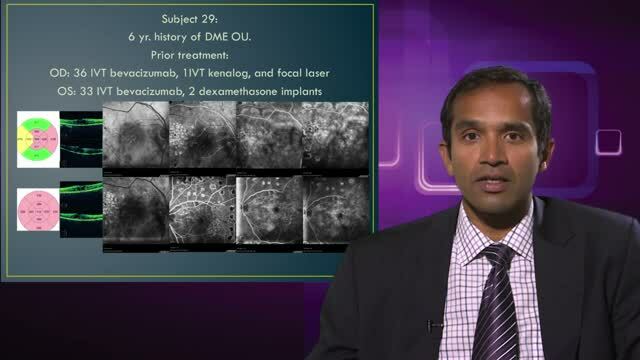 Then, Rishi P. Singh, MD, a staff physician at Cole Eye Institute, Cleveland Clinic, medical director of the clinical systems office in Cleveland Clinic, and an assistant professor of ophthalmology at Case Western Reserve University, offers a case of a patient with history of glaucoma but who previously was responsive to intravitreal steroid injections but not to anti-VEGF therapy. Would additional steroid therapy in this patient wind up causing unwanted adverse outcomes? 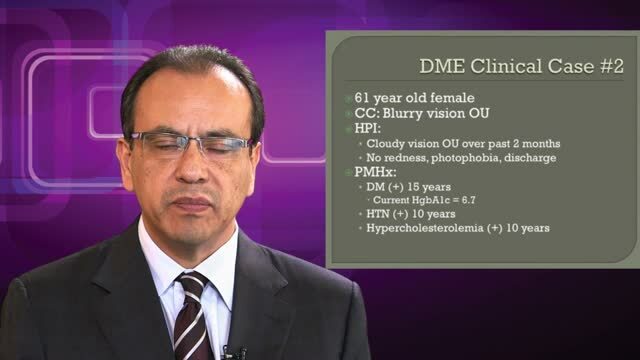 An educational series on the implications of managing the ocular manifestations of diabetes in real world settings. 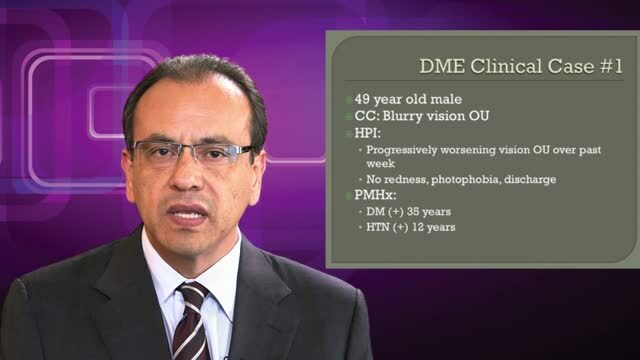 In Part 5, Sanket U. Shah, MD, a third-year resident at Indiana University School of Medicine in Indianapolis, Ind., and Raj K. Maturi, MD, of the Midwest Eye Institute in Indianapolis, Ind., share a comparison of the results of two differenttreatments for DME in several patient cases. An educational series on the implications of managing the ocular manifestations of diabetes in real world settings. In Part 7 of the series, Daniel Kiernan, MD, of Ophthalmic Consultants of Long Island in Long Island, N.Y., details his use of anti-VEGF therapy and sustained-release corticosteroids in the treatment of patients with DME. In the patient cases he shares, he also includes a short recap on the cost to maintain each patient’s vision with the chosen treatment. An educational series on the implications of managing the ocular manifestations of diabetes in real world settings. In Part 8 of the series, Michael A. Singer, MD, of Medical Center Ophthalmology Associates in Texas, shares his treatment strategies in two patients with diabetic eye disease. 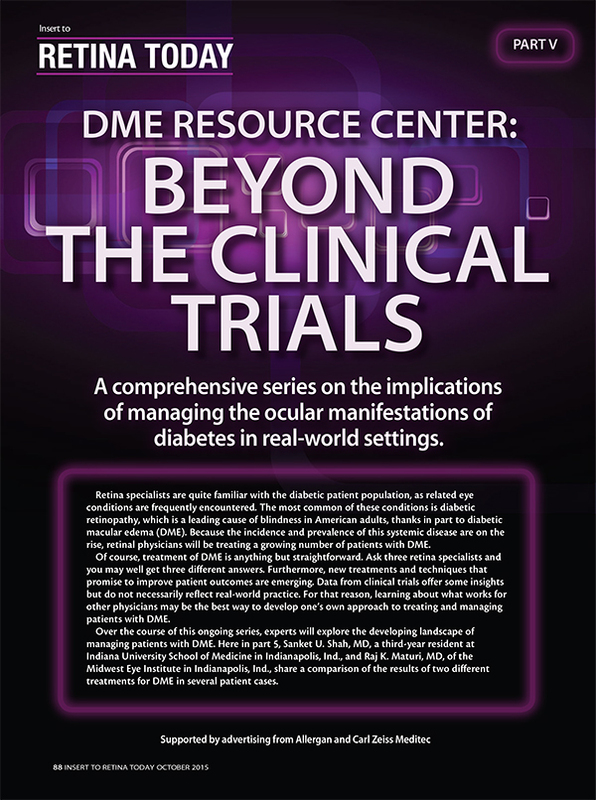 An educational series on the implications of managing the ocular manifestations of diabetes in real world settings. In Part 9 of the series, John D. Pitcher III, MD, of Eye Associates of New Mexico, gives readers a look at his approaches to treating three patients with diabetic eye disease. 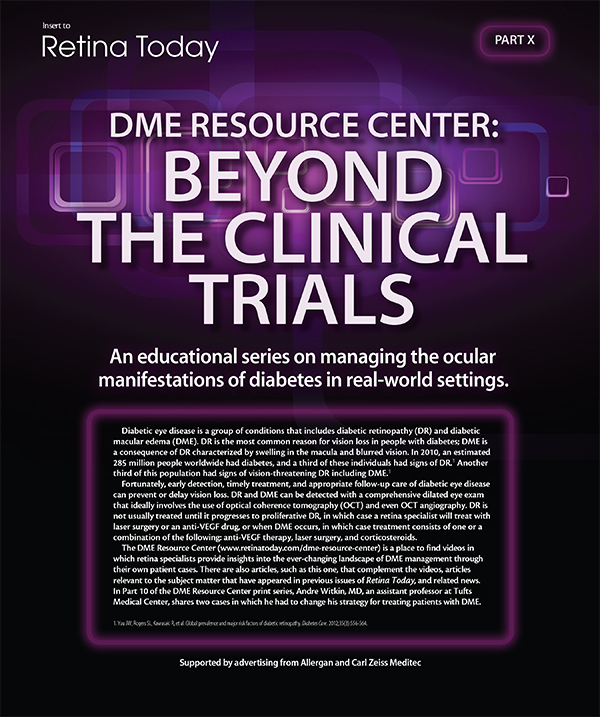 An educational series on the implications of managing the ocular manifestations of diabetes in real world settings. 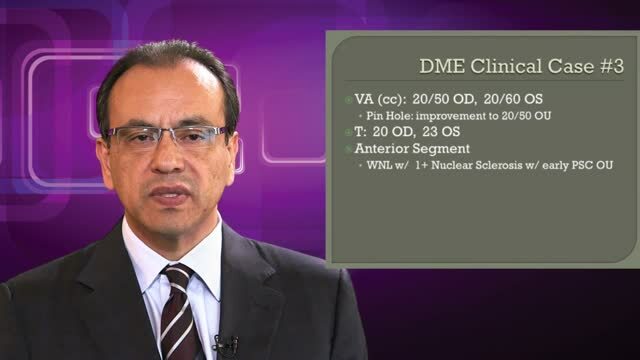 In Part 10 of the DME Resource Center print series, Andre Witkin, MD, an assistant professor at Tufts Medical Center, shares two cases in which he had to change his strategy for treating patients with DME. An educational series on the implications of managing the ocular manifestations of diabetes in real world settings. 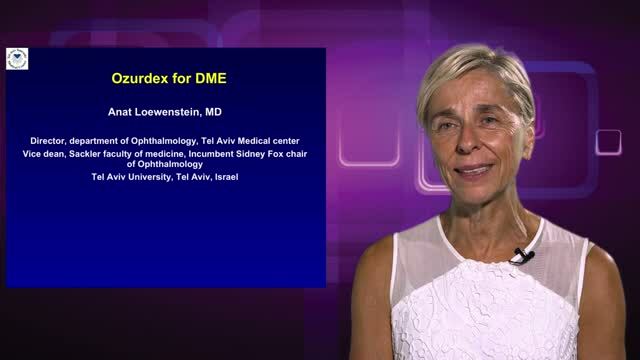 In Part 11 of this series, Maria H. Berrocal, MD, an assistant professor in the department of ophthalmology at the University of Puerto Rico, details her management of three patients with DME. 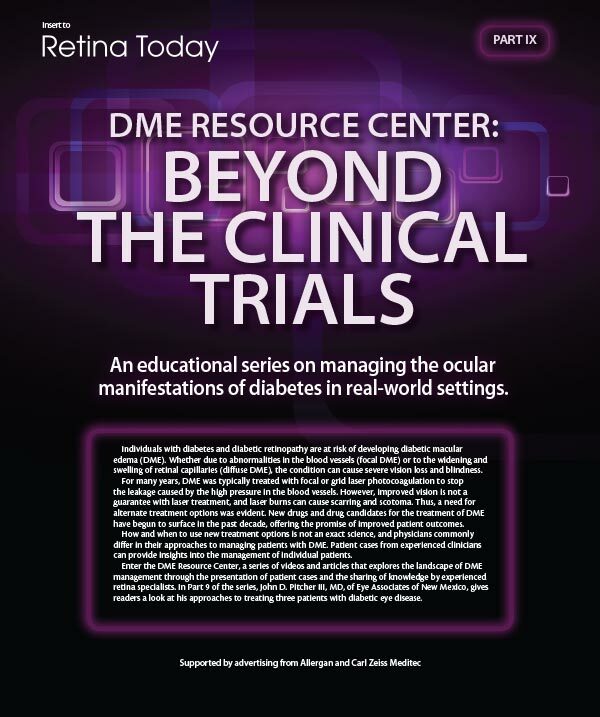 An educational series on the implications of managing the ocular manifestations of diabetes in real world settings. 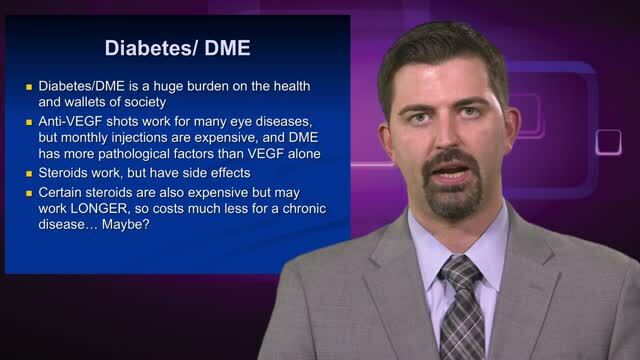 In this installment of the DME Resource Center, Part 12, Jeremy D. Wolfe, MD, describes his experience in a small, shortterm clinical trial directly comparing anti-VEGF and corticosteroid therapies in the two eyes of a series of patients with DME. He explores the possible reasons for the differences in outcomes observed in the trial. Is Automated Interpretation of DR Images in Our Future? Will a New Low-Cost Option Join the Anti-VEGF Fold? Retina Today is a publication that delivers the latest research and clinical developments from areas such as medical retina, retinal surgery, vitreous, diabetes, retinal imaging, posterior segment oncology and ocular trauma. Each issue provides insight from well-respected specialists on cutting-edge therapies and surgical techniques that are currently in use and on the horizon.